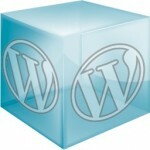 Surfguiden recommended ping list for a WordPress blog! All ping servers in the list are 100% fully functional and tested. Every time you post these services will be notified of your new blogpost increasing your online exposure. Have noticed there is many old ping lists available with hundreds of ping servers. Unfortunately most of them are dead e.g. not functional; stay away from those lists! To use this list, download Surfguiden WordPress Blog ping list and paste the list to your Settings-> Writing tab in the admin panel.